Find links to our City Council Agenda and Minutes here. You can now pay your City Utility Bills online with Billing Document Specialists! CLICK for more! 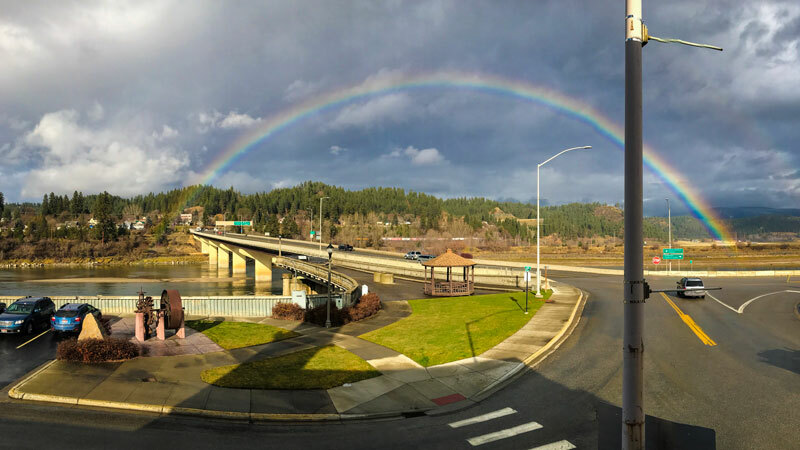 Bonners Ferry grew out of a river crossing for prospectors heading to gold discoveries in Canada in the 1860’s. It is the county seat of Boundary County, with a population of about 2,500 of Idaho’s friendliest people. The quaint downtown has been revitalized with pedestrian friendly street upgrades, improved parking, and a new visitors center. It is a city that respects its past and is proactive towards the future. The county is bisected by the Kootenai River, a major tributary of the Columbia River. The river’s course between two great mountain ranges created the resource rich valley that was the ancestral home of the Kootenai Tribe. Today, this great floodplain is an agricultural gem, growing such diverse crops as hops, wheat, canola and nursery trees. Forested mountains lie beyond the river valley, giving our county its unique picturesque beauty. Lumber and related forest products have been the mainstay of the economy since the settlement of the area. The additional benefits from the National Forest lands include camping, hiking, fishing, hunting, skiing and snowmobiling. The recreational opportunities in our county are limitless. We look forward to seeing you in Bonners Ferry. Our home is your home and we hope you will stay awhile. If you have any questions, please call 208-267-3105.